HPG | Was I Close? Home » Experience » Tales » Was I Close? There are hundreds of stories of mines lost and found and lost again in the American West. Some, like the Lost Dutchman, are famous. Others, well…. they are in a way more personal. 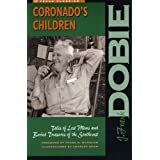 Many famous authors have written about them, with J Frank Dobie being perhaps the best collector of tales that I know. 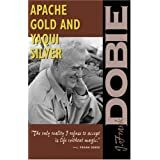 If you have an interest in such things his books “Apache Gold and Yaqui Silver” and “Tongues of the Monte” are highly recommended. 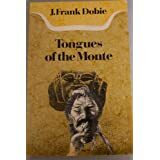 Another author who liked to work tales of lost Spanish silver into his stories was Louis L’Amour, including more than a few books that took place in an area that I found myself working one summer. Whether or not Louis believed or just felt they were a good bit of flavor I don’t know but certainly some do. Most Forest Service Districts have a beginning of the season in-service for seasonal employees where you get the certs you need out of the way, get to know the other crews, and in general take care of the housekeeping before the real work begins. Some districts include a talk by the local Level 4 (armed FS law enforcement officer) that can include signs of marijuana grows, issues with troublesome outfitters, roads and trails that are popular with drug traffickers and the like. I first heard about a family who spent each summer in a specific valley in the San Juans searching for a lost silver mine during one of those briefs. The San Juans of Colorado lie at the north end of the Rio Grande river valley. They’re not all that far north of Santa Fe, the colonial capital of the northernmost province of Spain in the new world. It wasn’t farfetched at all to think there might be an old Spanish mine up there. This family was convinced that they had the correct valley, and it was just a matter of finding the mine in THEIR valley. They came in as early as possible in the summer and stayed late into the fall, and were very secretive and protective of THEIR valley. This was almost 20 years ago so I don’t know if they are still in there or not, but at the time it was a real danger we were briefed on. To this day I wonder if they ever found what they were looking for, and if I just missed what they were looking for. For me it happened at the tail end of a long day when the light was already starting to fall. We had spent the day working the “misery whip” saw up a trail and were ready to get into camp and end our day. As the song says, “Day is done”, and the sun was already edging over the surrounding peaks. As we rode through the evening dusk I saw a carving in an aspen out of the corner of my eye. That country is covered with carvings made by shepherds and I always liked to look at these works of art made by lonely men. This carving was different though. It was an ornate Spanish style cross carved into a big old aspen, and one arm of it was longer than the other. Lore has it that such crosses were used as directional indicators to important places. I noted the cross, but figured I would give it a closer look when I went through the area later. And so the tale always goes – a man with work to get done, or tired from work already done, makes note of a “sure sign” of buried treasure thinking that he’ll be back when he has more time.